Rated : AC 15A 125V. 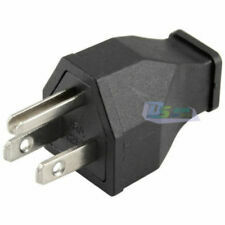 Plug Type: US 3 Pin. 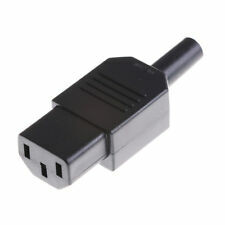 Products are used in computer power, notebook power adapter. 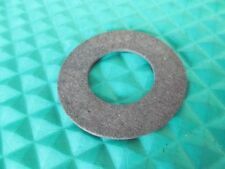 widely used for all kinds of electrical products. Insertion force: 5~30N. Color :Black. Note: Ours is the international standard size. 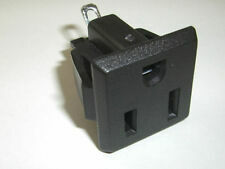 SCHUKO socket outlet, flexible connection options, black, without hinged lid. Socket Type: Schuko. Fixing Standard: Schuko. Mounting Style: Panel Mount. Colour: Black. Colour Family: Black. Number of Modules: 1. 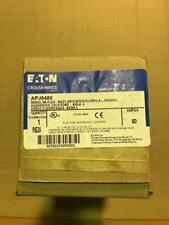 This sale is for ONE NOS Bryant made WATERTIGHT PIN & SLEEVE PLUG IEC 309 SERIES II, No. 430P5W. This nylon plug has an overall length of 7" and an plug diameter of 2". It is rated for 600V30 and 30A, it has 4 wires and 3 poles . Crouse-Hinds AR631 w/ARE36 Plug and Enclosure 60AMP 3-Pole 3-Wire ! WOW ! 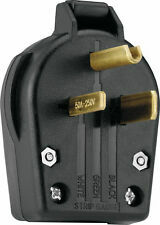 Watertight ANSI NEMA type receptacle with standard ANSI NEMA plug and cast ring. 125 Volt 15 Amp ANSI NEMA 5-15. Voltage. 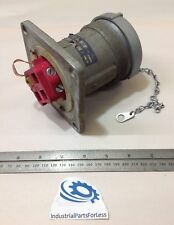 3pcs HUBBELL HBL7596 MIDGET TWIST-LOCK FLANGED RECEPTACLE 15A 2 POLE 125V NOS! 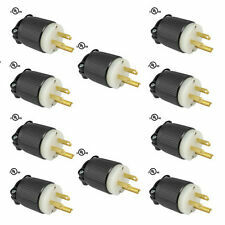 Crouse Hinds APJ3373 Male Plug 30A 3W 3P free shipping !! 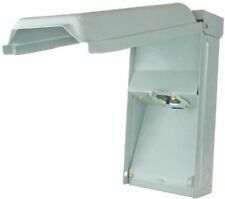 Product Description: L24-20R, Single Receptacle, 20Amp, 347V, 10 pieces per box. Manufacturer: Leviton. Product Number: 3720. Crouse Hinds E1001-3 Red 30 Degree Receptacle ! NEW IN BAG !